I used to think burdock can be only used as tea or medicine herbs. I never thought it could be cooked as usual vegetables. Burdock is very good for health. This dish is very simple. Just rinse burdock in water, remove the peel. Then cut into think slices. Thin slices are easy to cook and will be very crunchy. 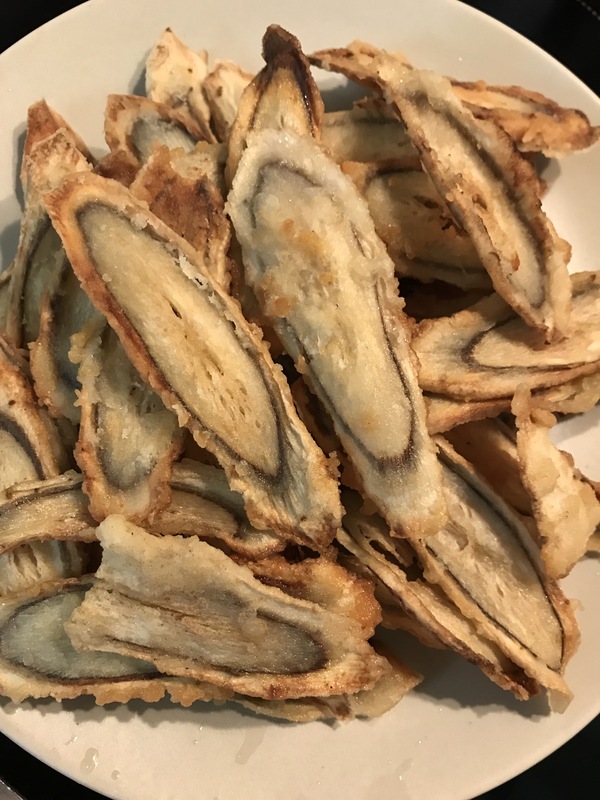 Dust burdock slices with flour. Heat oil in the pan. Fry burdock slices till both sides turn golden brown. No need to add any seasoning. Burdock tastes a bit sweet itself.